How Important Is Campaign Money? 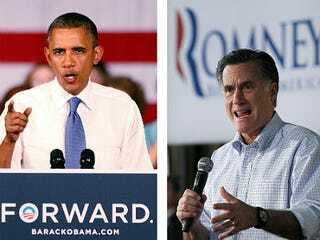 Despite reports that Mitt Romney is trailing President Obama considerably in a number of polls, the Republican presidential hopeful is beating his incumbent in terms of campaign finance. According to the Daily Beast, this disparity is giving Obama's right-hand man David Axelrod quite a bit of grief, but perhaps money isn't everything in a presidential election. Tracked down at a recent Chicago White Sox game, Obama strategist David Axelrod repeated a recent refrain: he's worried, very worried. In particular, he's anxious about being outspent 3-1 on television by Romney and by the much-chronicled Romney advantage via so-called super PACs. “We're dwarfed by the resources they have,” said Axelrod. But how much difference might a bona fide financial gap really make? Axelrod tempered his concern by conceding that a money advantage can mean less in a presidential race than in most other political races, given the huge amount of free coverage the candidates receive and that coverage's possible impact on voters. Indeed, interviews with consultants from both parties and academics who study elections suggest that the media's quasi-obsession with the horse race of contributions may be misguided. The razor-sharp focus on contribution totals may be even more errant in a race where, both polling and many observers suggest, the majority of voters have largely made up their minds. Ready for a New Adventure? The Glow Up, VSB and Toyota Are Taking Charge in Philly!